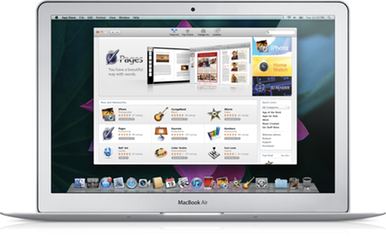 Could the Mac App Store create a new kind of Mac? The talk around the virtual water cooler these days among the Mac developer crowd is all about the forthcoming Mac App Store. Announced on Wednesday by Steve Jobs, this store will extend the current iOS App Store concept to Mac OS X. Software developers are of two minds about this turn of events: Many see the Mac App Store as creating a new, level playing field among developers where small and large companies alike will be able to present their wares to Mac users. But there’s an apocalyptic strain of thought making the rounds as well. Some people see this as the first step toward a totally closed Apple ecosystem where, in the near future, you will only be able to buy Mac software from Apple. In this 1984-esque scenario, Apple has already become Big Brother, and is just waiting for the right time to exercise the iron grip of tyranny. But, as often, the truth most likely lies somewhere between the two extremes. The El Dorado of the App Store exists only for a small number of developers. While some high-profile companies have done very well selling iOS apps, the majority have not. This level playing field will benefit those who have really good programs to sell, and the Mac App Store—while it may not have any fart apps—will likely be populated with a lot of mediocrity. Apple’s guidelines for the Mac App Store are quite restrictive; perhaps less so than those for iOS apps, but still enough that many current Mac programs won’t be approved without large changes being made. And many best-selling Mac applications simply can’t meet the conditions that Apple is imposing. However, the Mac App Store may be an excellent idea for users. Buying, installing and updating Mac software can be a headache. Those who use iOS devices have seen just how easy such tasks can be; why not bring this system to Mac OS X? For most people, anything that makes their life easier is a good thing. So, if that’s the case, why wouldn’t Apple shift the Mac OS to a closed model, where the only software you can buy is from the Mac App Store? I think the reaction would be so loud that the company would never be able to make such a change. I do think, however, that, in a few years, Apple will offer a Mac that works exactly like that. I think this would be a very popular computer. Not among the geeky blog-reading crowd, who already cringe when discussing the Mac App Store, but among average computer users who want to get things done and do so as simply as possible. “Simplify, simplify,” said Henry David Thoreau; this could be a mantra that Apple adopts as well. Such an idea could create another new product category for Apple, similar to that created with the iPad, and marketed as a new way of working with computers. Who would want a computer like that? Parents, so their kids could have a really safe computing environment. Businesses, to ensure that employees can’t install any software, or even bring potentially dangerous files onto a Mac. Your grandmother, who may never have used a computer, and who would be daunted by files, folders and windows. And many more people, who see a computer as a tool, rather than something to fiddle with and customize. My son the geek would hate it; my wife would probably love it. Some see this as a slippery slope that Apple has embarked on and that will kill of the computer as we know it today. Others see this as a new way of working with computers, which become appliances rather than complicated tools. Which approach will win out? Time will tell.